Every child is born with amazing opportunity embedded in their own uniqueness and it is important to develop a healthy mental attitude early on in life. This Zeal True Colours Motivational programme gives you the tools, that focus on educating, motivating and inspiring children to become engaged thinkers and life-long learners. 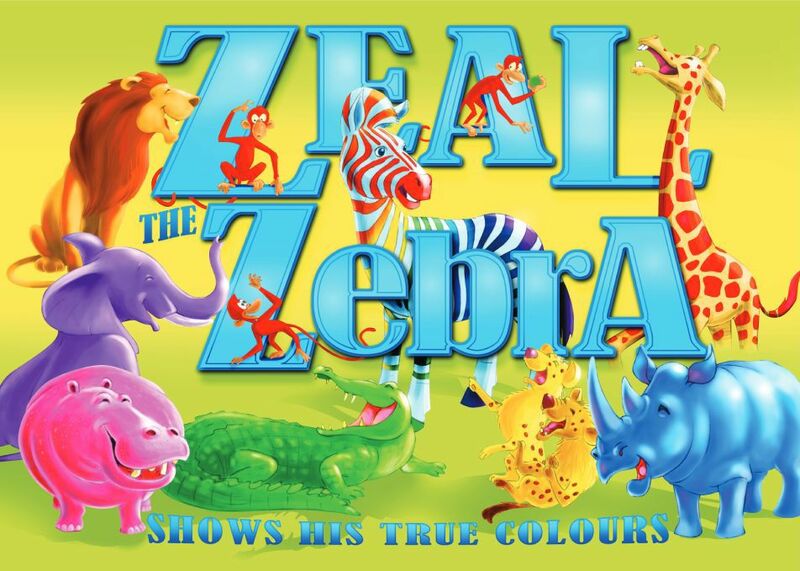 This easy to use Kids Motivational programme for 5 – 9 year olds is based on the beautifully illustrated Zeal the Zebra Shows His True Colours story authored by Zelna Lauwrens which is accompanied by award winning music and colourful resources that reinforce skills transfer. This delightful African tale with its vivid illustrations wonderfully captures the spirit of true belief in the self. When you participate in this programme with children, it will teach them to recognise and value their own distinctiveness. Zeal the Zebra is a delightful rainbow coloured zebra that guides children in a fun way to regulate themselves and their behaviour by laying down the foundation for self esteem that breeds confidence. You and the children that you coach will join Zeal the Zebra as he embarks on a journey of self-discovery and acceptance and realises he was born to stand out. This is an important lesson that will be carried over to children and in so doing will enable them to recognise and value their own distinctiveness. The teenage years can be a challenging time with the multitude of changes, demands and challenges that can be faced making them a high risk for anxiety, depression and mental health problems. The World Health Organisation predicts that by 2020, mental health problems in young people will increase by 50% and you will be playing a part in proving this statistic wrong. 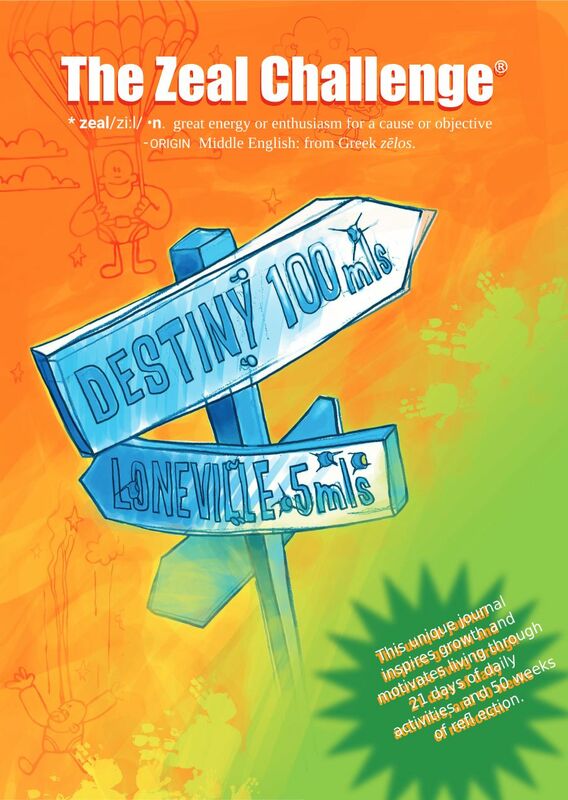 Your support in helping a teenager on their journey to improved mental well-being and a positive mindset, means that you will be involved in defining true success by inspiring teens to tackle life with energy and enthusiasm because the amount of energy you put in will equal the results you get out! Just like regular exercise builds up healthy bodies the Zeal Challenge® Coaching programme helps to strengthen a teenagers body, heart, mind and spirit by following an easy self development process designed to achieve long-term success. The founder of The Kids Life Studio®, Zelna Lauwrens is the developer of the Zeal Challenge® Journal which underpins this programme and that aims to give you a toolkit to support teens preferably before their behaviour spirals out of control. It is based on implementing 5 easy daily habits that assist teens to make better choices with you mentoring them through structured daily activities that lay the foundation for lasting change. These activities are based on forming new neural pathways in the brain which will ultimately overrule the old faulty belief systems. This results in better lifestyle choices and positive outcomes. Parenting can be a challenging time with the multitude of changes, demands and issues that children could be facing! Then when parents add their own problems to the mix and it could be a recipe for disaster! So many parents spend all their time nurturing their children but they neglect the most important person in the relationship which is themselves! When this happens, it has the potential to spill over into their children’s lives and this could show up in negative behaviour. 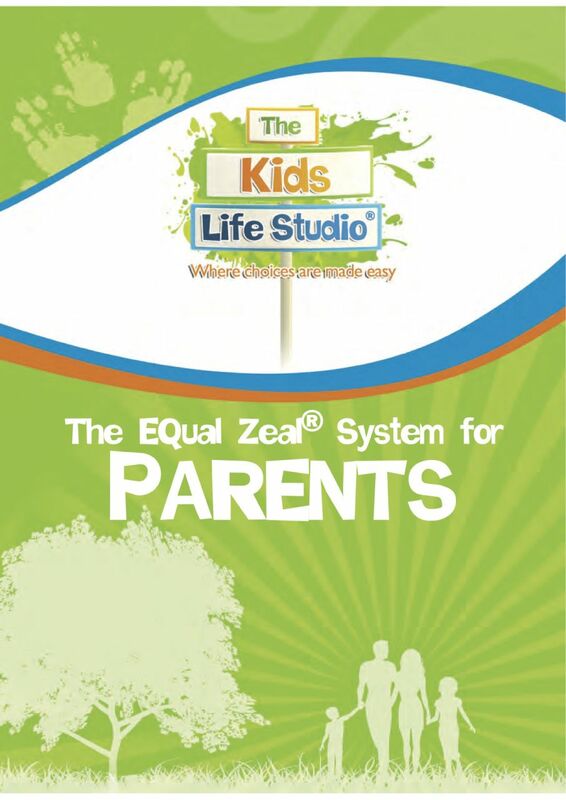 This EQual Zeal® System Parent journal was designed by, Zelna Lauwrens with the aim of supporting parents to get back into sync with their own lives. This easy to use tool offers 28 days of daily activities that will build a parents Emotional Intelligence. This motivational programme is specifically designed to support parents in implementing the 4 Pillars for Success: Happiness, Motivation, Inspiration and Zeal. Just like regular exercise builds up healthy bodies the EQual Zeal System® Parent programme helps to strengthen a parents body, heart, mind and spirit by following an easy self development process. Zelna Lauwrens has devoted over 20 years to the study and practice of harnessing success in children. Through attending hundreds of seminars, reading countless books, and interviewing experts from a variety of fields, she has uncovered specific universal principles for achieving the best in children and has applied these to her own life. As a result, she enjoys a phenomenal level of success as a leading authority on leadership and peak performance in children. Now Zelna shares her views on life, parenting and childhood as well as her coaching techniques, unique to children, which are being used in 19 countries around the world. In her book THE SECRET PARENT launched on World Mental Health Day, 10 October 2018, she has, for the first time whispered out loud the hidden story behind her lonely and challenging healing journey through being childless, depressed and labelled as mentally ill whilst at the same time, leading and building an organisation impacting on children globally. As a wife in a marriage of almost 20 years, she shares her personal insights on what it means to have a choice taken away. The choice of being a biological parent and how standing on the fringes of a world she couldn’t penetrate in a traditional way impacted on her personally and professionally. Serious mental illnesses can manifest during childhood, but yet children are taught little to nothing about mental health. How can we expect our young people to grow up strong, resilient and able to break the cycles of trauma, abuse, violence, substance use, and internet overload without early intervention and guidance? The world Mental health association predicts that by 2020 mental health problems in children will increase by 50% and Zelna aims to be part of the solution. Children are faced with many challenges outside of their control which are causing side effects such as self harm, suicide, bullying, eating disorders, drug and alcohol abuse. e THE SECRET PARENT presents a sweeping action plan for achieving the best from children and for harnessing their full potential so that they can grow up strong and resilient and able to break the cycles of potential mental health problems. This all starts with laying a foundation for making healthy lifestyle choices at a young age. 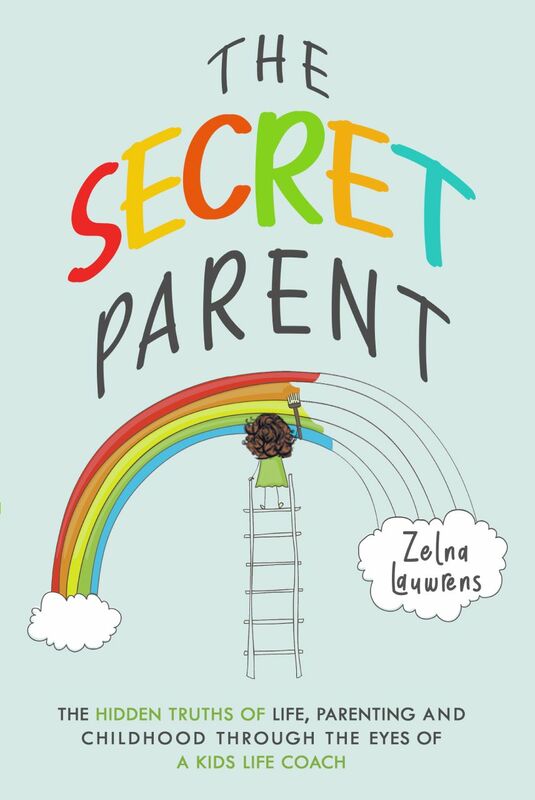 THE SECRET PARENT is not your traditional advice giving book as it shares the interwoven stories of other peoples’ children whom Zelna had the privilege of coaching. From board room children to street children, all of them have two things in common. They rebranded their childhood by learning how to make better choices relating to the parts of their lives they were able to control. 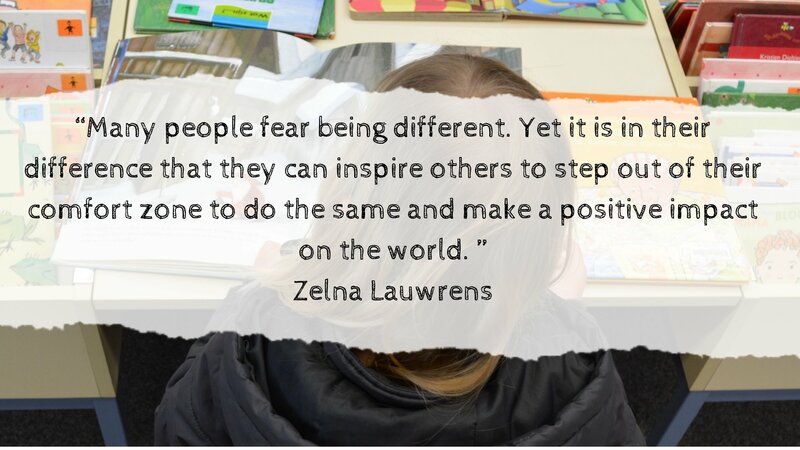 These children were the inspiration behind Zelna finding the strength to do the same and overcome her own mental health struggles. The culmination of the book, draws attention to the fact that it all starts with every adult taking steps to be a “Secret Parent” in a child’s life. No matter the context, every teacher, sports coach, counsellor, social worker or kids life coach is a role model and in order for children to live a genuinely happy life, they need tour guides who are doing the same and showing them how it should be done.